This section will expand as we grow. 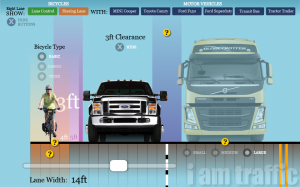 Visit the interactive graphics page to explore lane widths, vehicle sizes and buffered bike lane designs. 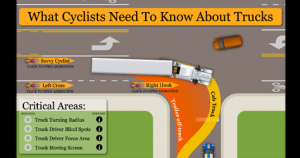 Please share our new animation of What Cyclists Need to Know About Trucks — you might save someone’s life. This section contains graphics that illustrate basic concepts and best practices. These can also be found on our facebook page. 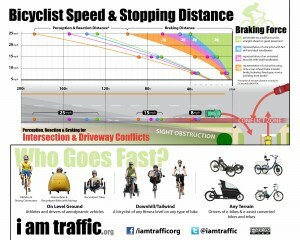 Go to Infographics. We are adding to the Glossary as we create content. 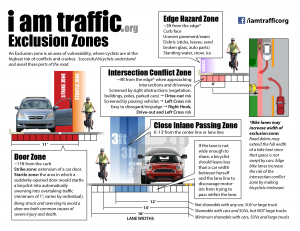 Glossary terms are highlighted in text (example: driver behavior). When you move the cursor over them, a box with the definition will appear. If you click on the term, it will take you to the glossary entry where you may find links for more information about the topic. Go to Glossary. 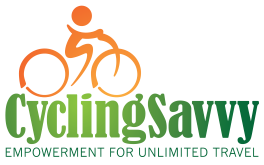 Commonly-used transportation and bicycling acronyms. Go to Acronyms.